I've been to the plaza before, and I still cannot process how ginormous it is. With two wide floors that seem never-ending, it's easy to get lost, but I suppose that's what makes it feel like an adventure! Did I mention there's an actual movie theater?! A piano that plays by itself! On the second floor, there is this beautiful hanging-glass structure. If the sunlight hits the crystals at the perfect angle, you might be able to see different pops of color! I also admired the rows of glass-flower trees lined around one of the balconies. Onto shopping, the first store we stopped at was Forever 21 since that was my sister's favorite clothing store. While my mom and I were waiting for her to browse, we happened to be standing across from a long mirror, so I thought it was the perfect picture opportunity. Another store we walked into was "Free People" that sells women's bohemian clothing and apparel. Apparently, Taylor Swift has been known to wear dresses from here! I loved how the store decorated their room with hanging lights, geometric lanterns, and bohemian tassels. In the store, I found the perfect pair of sunglasses to bring on my summer trip to Wildwood. I've always fancied big, round sunglasses that I like to label "Willy Wonka Style" since they're almost as big as the goggles they wear in the 2005 movie! These sunglasses were perfect for my beach lookbook that I filmed in Cape May. You can find the video on my Youtube channel (Madisochecmaflo) if you want to see how I matched them with my summer outfits. The one store I was most excited about finding in the plaza was Urban Outfitters. Since it isn't at our local mall, I've never actually been inside one of the stores until now! They are well-known for selling record players, mainstream records, polaroid cameras, film and other vintage things that I like. I ended up ordering the pink cruiser online when it was on sale. It plays at good quality! 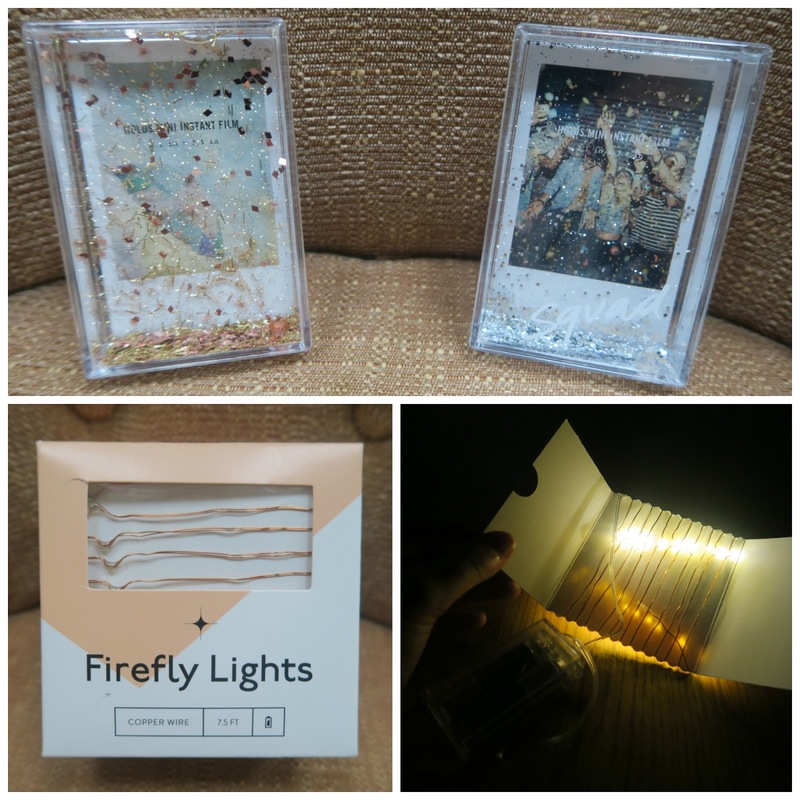 I didn't want to spend too much so I ended up buying a box of copper "firefly lights" and two cute polaroid frames with glitter inside of them. For the frame that had the word "squad" on it, I used a polaroid of my sisters and I. After wandering through the mall for a few hours, we enjoyed some fruit smoothies and then headed back home. We were quite exhausted from all the walking! I hope you liked getting some inside previews of the Garden State Plaza. It's the kind of mall that is so big, you'll always find a new store to walk into every time you go!